The IRS will be hosting a free webinar, Thursday, March 28, 2019 at 2 PM EST, to help people understand how to do a Paycheck Checkup. Doing a Paycheck Checkup means reviewing tax withholding and making any updates to avoid having to little or too much withheld from paychecks. 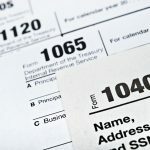 This webinar is to share information with taxpayers to help people review their tax withholding, especially if they have already filed and noticed a change in their tax refund or amount owed, due to the Tax Cuts and Jobs Act enacted in 2017. Doing a Paycheck Checkup now, ensures there is more time for withholding to readjust over the year. Waiting to adjust any federal tax withholding means there are fewer pay periods to update the withholding. This webinar will help identify those who may need a Paycheck Checkup, including those who had a large tax refund or tax bill for 2018 when they filed their return this year, or those who have itemized deductions in the past. See the full IRS News Release, posted March 21, 2019.